US cable network AMC has continued its tradition of handing key original drama series a talk show companion. Preacher debuts with a 90-minute episode on Sunday, May 22, and its encore screening a week later (May 29) will be followed by Talking Preacher at 10.30pm. A second Talking Preacher episode will air after Preacher’s finale on July 31, a similar format to Better Call Saul spin-off Talking Saul. That marked a departure from the format of an episode after each drama hour that was employed by The Walking Dead’s The Talking Dead and Breaking Bad’s Talking Bad. Talking Dead host Chris Hardwick will present the new show, which will see series star Dominic Cooper appearing as a guest alongside executive producers Seth Rogen, Evan Goldberg and Sam Caitlin. “It’s very clear that Chris Hardwick knows how to lead and navigate a conversation about hordes of zombies on Talking Dead and shifty lawyers on Talking Saul, so we can’t wait to see how he’ll handle this new batch of insanely, out-of-this-world characters from Preacher,” said Joel Stillerman, president of original programming and development for AMC and SundanceTV. 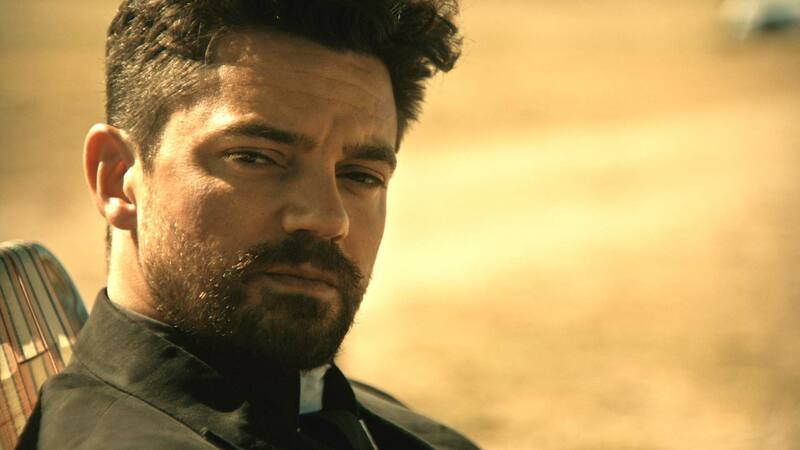 Preacher, based on the comics of the same name and from Sony Pictures Television and AMC Studios, follows a West Texas preacher who is inhabited by a mysterious entity that gives him unusual powers. Sony-backed producer Embassy Row will produce Talking Preacher, with Michael Davies, Hardwick, Jen Patton, Brandon Monk and Brillstein Entertainment Partners executive producing.